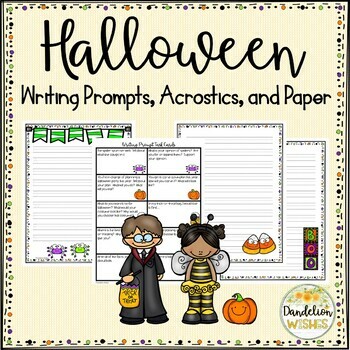 24 pages of writing paper, acrostic poem paper, and writing prompt cards for Halloween! 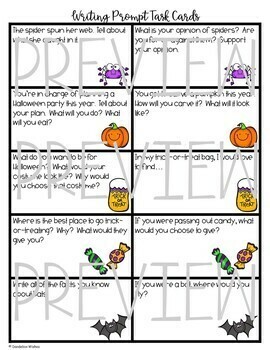 * ALSO included: One page in color and one in black and white with just the border and dotted lines (no picture) that you can use for those students that would like to write more than one page! 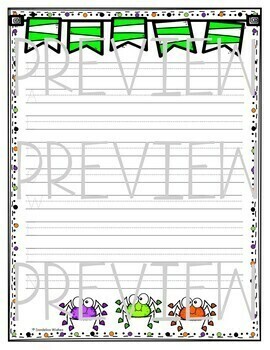 * All of the designs coordinate with each other for your cute Halloween bulletin boards. Click here to follow me on Instagram! Please tag me in pictures of your class using my products! Please go to your "My Purchases" page. Beside each purchase you'll see a "Provide Feedback" button. Simply click it and you will be taken to a page where you can give a quick rating and leave a short comment for the product. Each time you give feedback, TPT gives you credits that you can use to lower the cost of your future purchases!